workplan, reporting, auditing, internal controls, budgeting and expense procedures. Reporting to the Chief Executive Officer and working closely with the Chief Operating Officer, the Director of Finance will be an integral part of the organization senior management team. • 7-year work experience in a senior finance position in donor funded programs. • Experience in donor funded rules and regulations e.g. USAID/CDC/etc. • Budget, workplan and forecast experience of large multi funded programs and ability to oversee cooperative agreements and contracts. • Experience in working with the board and its committees in finance, audit, risk, compliance and program. • Experience on financial analysis, forecasting and cash flow management. • An analytical mind, problem solving skills, and solution oriented. • Experience in establishing and reinforcing internal controls and designing financial policies and procedures. • Excellent organizational and leadership skills and ability to manage staff and work as a team player with other senior leaders and project officials. • Ability to participate in fundraising, proposal writing, and engagement with donors. Interested candidates for this position should submit an application letter, a detailed CV, and names and contact information of three work related referees by January 31st 2019, to the Human Resource Manager through e-mail hr@mdh-tz.org or delivered by hand at the MDH Head Office at Mikocheni B, along Mwai Kibaki Road, Plot No. 802. Kindly note that only shortlisted applicants will be contacted. 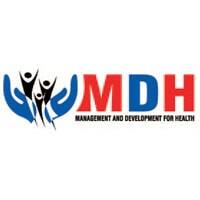 Disclaimer: MDH does not demand any financial payment for recruiting its staff. Interviews and selection of applicants is completely free of charge.